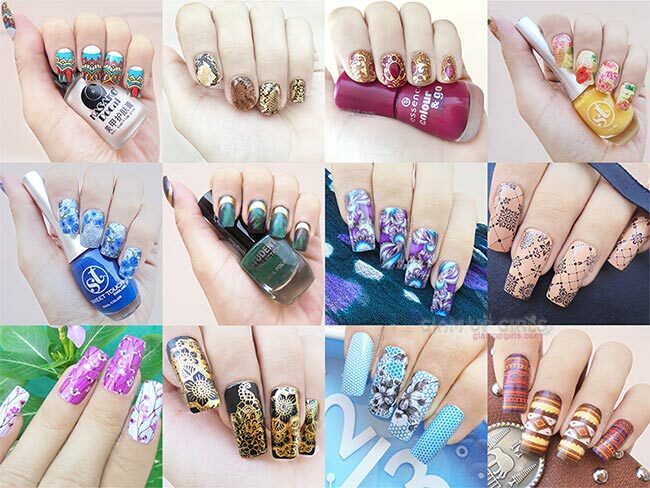 Nail art is a job which needs creativity and time to design nails in different patterns. Creating nail art with brushes and different stencils is time consuming and if you are on tight schedule you have to go with plain nail colors. However water decals are more convenient way to have beautiful nail designs without wasting too much time. 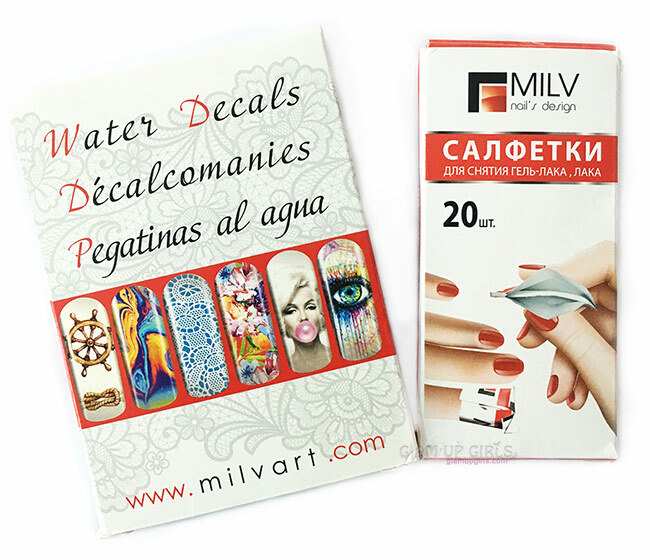 Today i am going to talk about Milvart Water Decals nail designs which you can apply in few minutes. Water decals of company MilvArt is a light and beautiful way of decorating nails at home and in the salon. 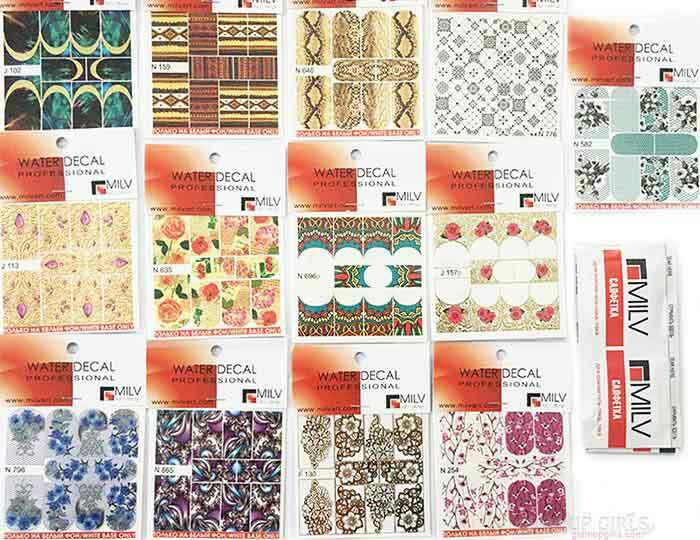 I got to try 13 different designs of these water decals. Each design comes in transparent plastic cover. The designs are created on transparent plastic stick able sheets which are further placed on white paper card. 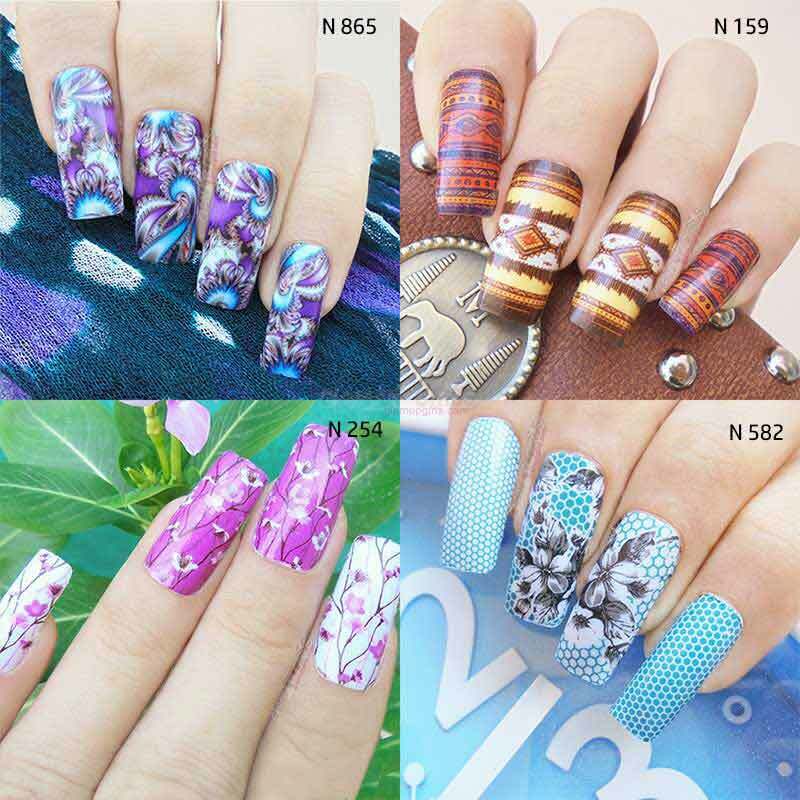 Each card have 10 nail designs which can have different pattern for different fingers or have same pattern. 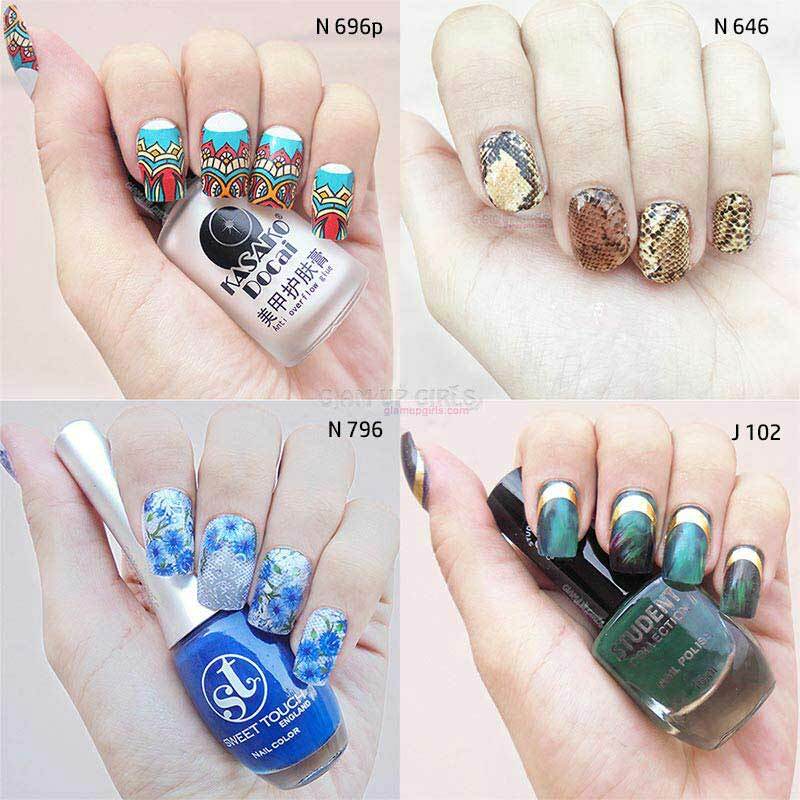 Depending on your choice you can either place them on all nails or be creative and mix and match with different nail colors. The application is quite easy but to get neat application you might need practice at first. There are 5 simple steps to apply them and they take almost same time as good plain application of any nail color. 1. First cut out the design for one nail from card with scissors. 2. Soak the piece in water for few 30 seconds. 3. Place the card piece near nail and slide the design from card to nail. Adjust quickly according to your nail shape and pat with tissue to absorb water. 4. Cut the extra piece from nail with small scissors and file rough edges. 5. Apply transparent top coat to seal the design and to add shine. Milvart have many designs to choose from and any one can pick their favorite design from their collection. You can either apply these decals on your nails or on fake nails to use them again. They last quite long and doesn't budge or slide once they are properly placed. If you are careful, they can last for more then 4 to 5 days and start cracking from tips. Removing them can be little hassle with regular nail polish remover but with milvart removing wipes the can be removed easily. Overall i loved these designs and how easy they can be applied. I have placed them on few fake nails for future use and used on natural nails as well. I think they are best way to have designed nails in easy and quick way.